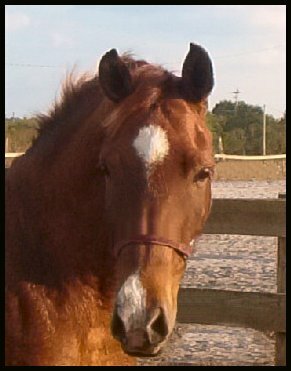 Roughly translated as "Coral Jewel", Murzhjana is a perfect name for this lovely mare. A fabulous pedigree, an unusual red dun color which seasonally ranges from butterscotch to chocolate, athletic conformation and gorgeous movement make this mare a Jewel worthy of royalty. MURZHJANA (Flexx PR X Specials Fanci) AHA# 0616892 DOB 07/18/1998. 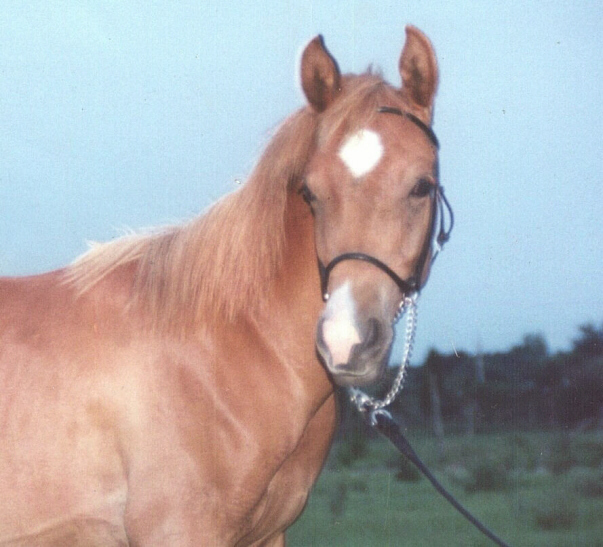 Chestnut Arabian mare. 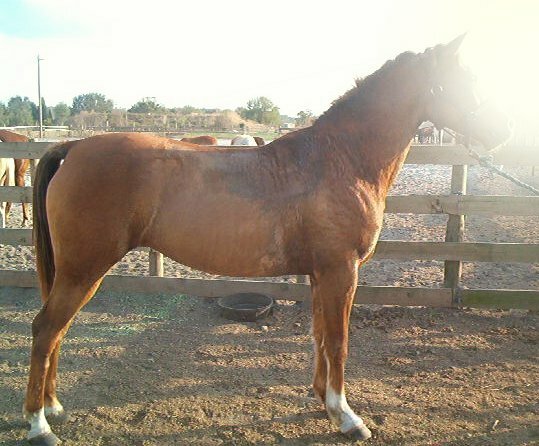 This mare has a great Polish sired pedigree, is bred for performance and shows it. She is green-broke with EP potential. Powerfully built, strong bone, deep chest, huge hip and shoulder with strong driving action and good legs/feet. She is also pretty with a short dishy head, big dark eyes and hooky neck. Learns very quickly and will do anything for a treat. She requires an experienced handler but has no vices and handles well. 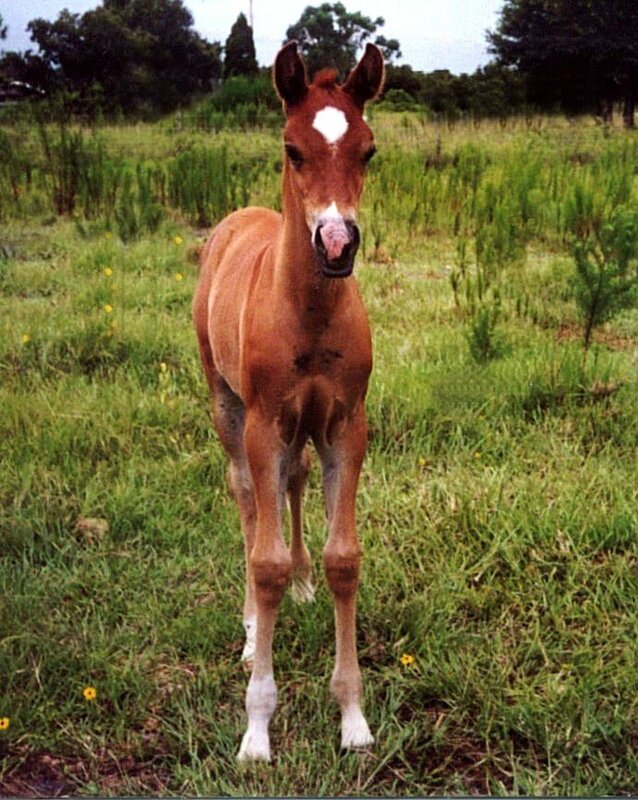 She is a great mother and nurse mare, fed 2 in '07! Great embryo recipient prospect. For sale to approved home only.